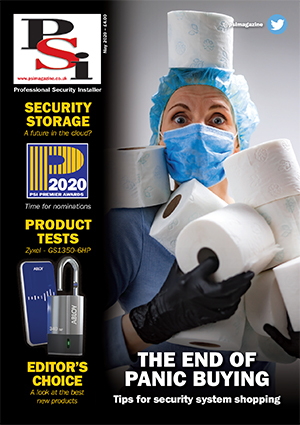 PSI » Is 5G the future of intruder alarm systems? By Anna Sliwon, analyst, IHS Markit. The shutdown of the 2G network in the United States in 2017 had a ripple effect on the market for intruder alarms, mostly affecting the sales of control panels and communicator modules. With many traditional systems using 2G or public switched telephone networks (PSTN) as alarm signal communication paths ahead of the shutdown, the impending mobile network re-farming required upgrades to intruder alarm signalling modules. The increased rates of equipment replacements in the immediate run up to the shutdown date resulted in a much smaller replacement market in subsequent years. In fact, according to the latest IHS Markit research on the global intruder alarms market, shipments of control panels sold to the United States market will experience a compound annual decline of 4.9 percent from 2017 through 2022. Advances in telecommunications technologies are making intruder alarm systems more versatile, by increasing the speed and stability of communications between the sensors, control panels and alarm receiving centres. However, the rate of adoption of the latest communication technologies in the intruder alarm industry has been quite slow. 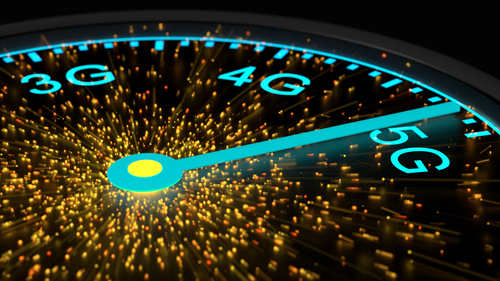 Significantly higher deployment costs on a national level may lead to postponement of country-wide rollouts, which will make investment in 5G technologies for intrusion systems riskier for manufacturers that do not prioritise 5G in their home markets. International markets may instead offer an opportunity. 5G technology is only beginning to roll out in certain countries, and its full potential has yet to be realised. Any IoT device or a security system equipped with 5G-capable chipsets will likely see a steep price increase, before the technology can become mainstream, like 3G and 4G. For end-users to accept a significant price increase, the comparable functionalities offered by these systems would have to be significantly higher than those currently offered. In the residential sector, these offerings might only resonate with more savvy users of intruder alarm – primarily those who are interested in advanced ultra-smart home security systems. In commercial systems, 5G benefits may be more readily realised in smart buildings that integrate intruder alarm systems with other building systems, or with high-security applications.